FamilyStory is an ambitious programme of work to re-design how technology can better support Children's Services. FutureGov is partnered with three councils; Kensington & Chelsea, Hammersmith & Fulham and Westminster. We want to place families and young people at the centre of their case or story build a network of people, carers, caseworkers and service providers around them. To do this we’ve working directly with people on the frontline to understand what it really means to work within Children's Services. The discovery phase of this project is huge. 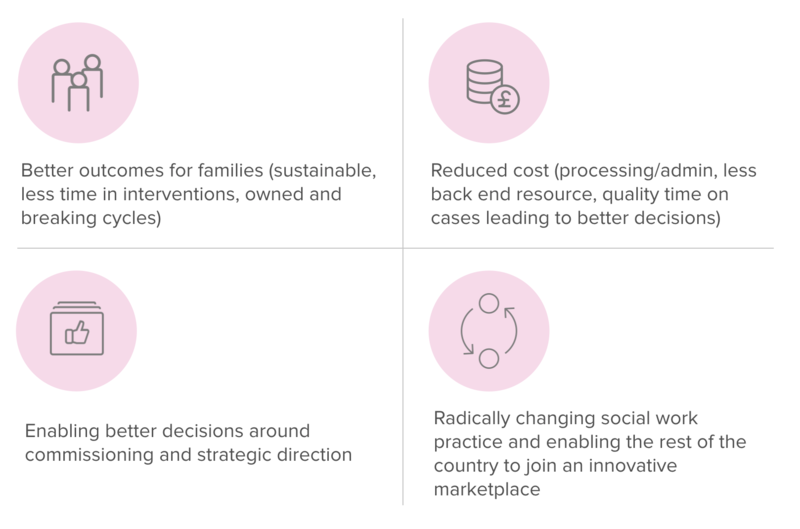 FutureGov has been working for over a year mapping out every facet of the three councils Children's Services from end to end, and in both the frontline and management and reporting in the background. I was tasked with designing this end-to-end suite of apps. The goal of this design piece was to bring the FamilyStory solution to life, and get the designs in the hands of social workers and families, and to show what the future of Children's Social Care could possibly look like. We designed the suite of apps which totaled eleven separate tools for use in different use cases. The core set of apps would exemplify this concept of a set of tools loosely joined with a single sign on. I also created a website showcasing all eleven of these apps with information and the story around each one. After this large research and design project FutureGov was commissioned for the next phase to build and test out just a slice of this experience. This project is currently in development focusing on the connection between social workers and the families they work with. 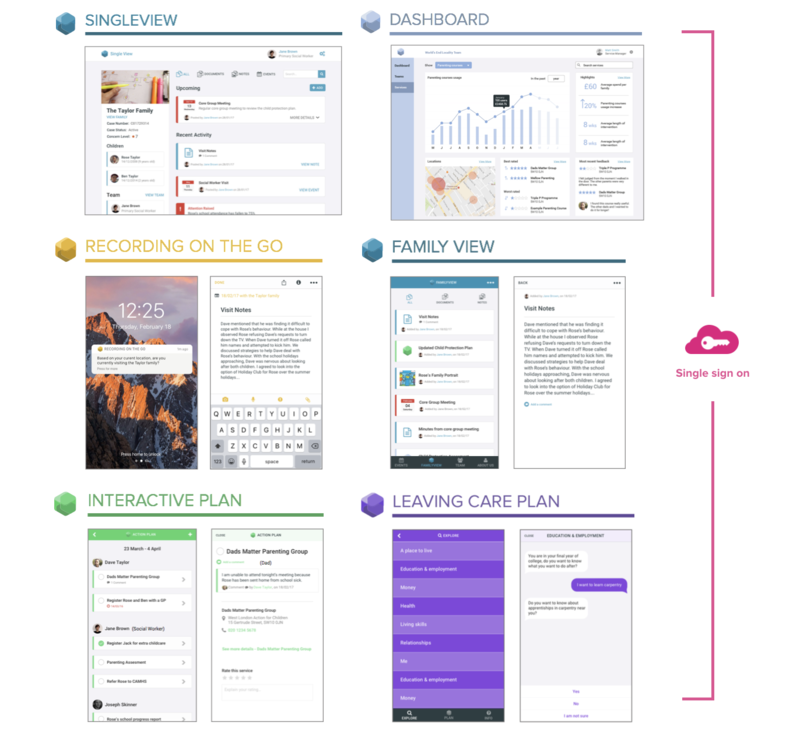 We are currently in development to build the Recording with Families tool that will allow social workers to record notes, images and audio from their visits, and share these with the families, the FamilyView app that will allow families to see their story and communicate with their social workers and the initial tools for case management. 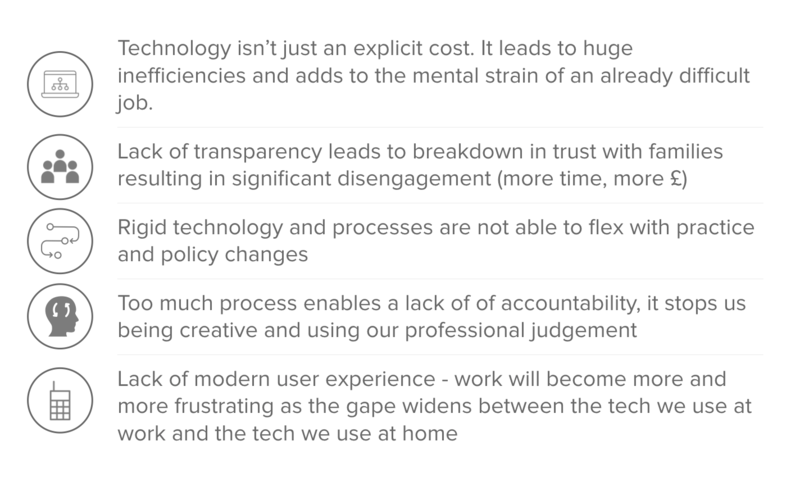 We have started by stripping these future views of the apps down to their most minimal form, while simultaneously iterating on the visual designs. Below is an initial prototype flow I have designed as an iteration of the Recording with Families app. I created this design in Sketch and used Sketch Prototyping to create the flow I also used Framer to animate some of the more complicated interaction designs. I have joined together the Framer and Sketch prototypes into a single video below. The aim of this was to provide an asset for the developers to give greater understanding of some of the micro interactions I have been designing in this app. The development of this project is currently ongoing and this is just a small selection of the work that is currently going into it. 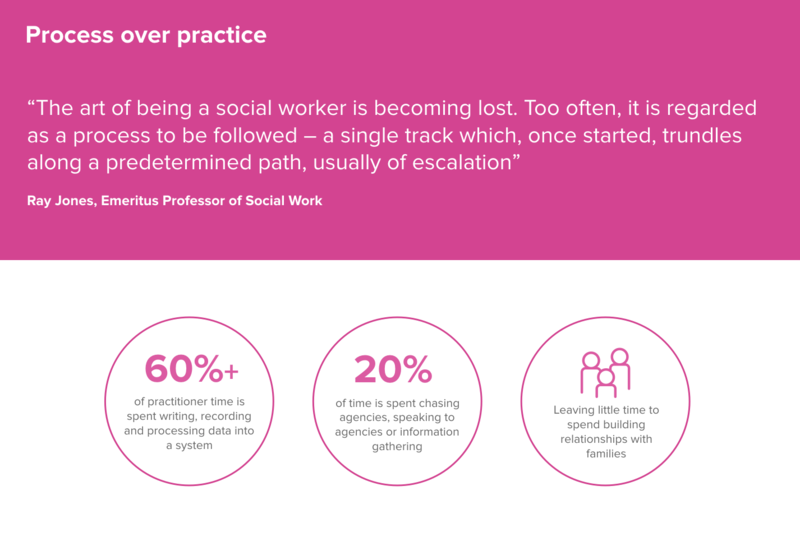 These simple tools have the potential for massive change to the way social workers currently work and to entirely change their day to day work.